The International Youth Choir Festival 2017 features a pair of concerts and a daytime conference, hosted by the National Youth Choirs of Great Britain and the Royal Albert Hall, featuring a group of the world's top youth choirs. There will be eight choirs from four continents, performing concerts at the Royal Albert Hall and the Royal Festival Hall, plus a conference and workshops at the Royal Albert Hall aimed at choral leaders, aspiring singers and music teachers. I caught up with Greg Beardsell, deputy artistic director of the National Youth Choirs of Great Britain to find out more. On Easter Saturday (15 April 2017) at A Celebration of World Voices at the Royal Albert Hall will be a showcase for each of the choirs concerned. Then there is a once-in-a-lifetime chance to hear the 450-voice super-choir, as the eight choirs come together as a 450-voice super choir at Global Voices at the Royal Festival Hall on Easter Monday (17 April 2017) with a performance of Jonathan Dove's Cantata, There was a child, with the Southbank Sinfonia, tenor Robert Murray, soprano Louise Alder, conductor Ben Gernon. The eight choirs featured at the festival are very varied in their styles and Greg briefly introduced them. 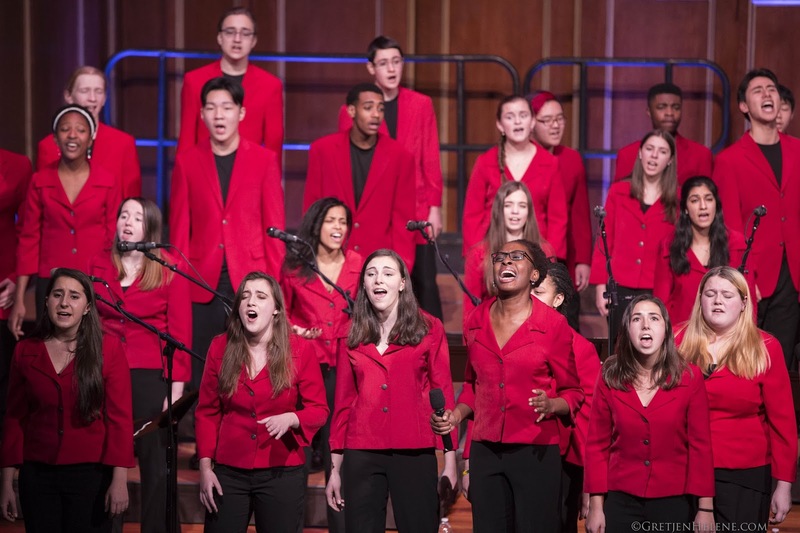 The Boston Children's Chorus has a membership drawn from the broad spectrum of economic conditions in Boston, and they were chosen a shining example of how to bring together a diverse range of people across a major city to encourage social change. The Hong-Kong based Diocesan Boys School Choir was built on a British public school model in the 1860s, and is one of the finest choirs for changing and changed voices in the world. The Manado State University Choir represents not only the country of Indonesia but in a more complex sense, the new directions in choral music worldwide. 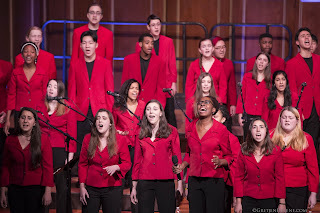 They incorporate improvisation and experimentation into their music, spanning the entire western canon, Southeast Asian choral music and popular music with choreography, and they re-imagine choral music as a contemporary convergence of cultures expressed in drama, dance and song. 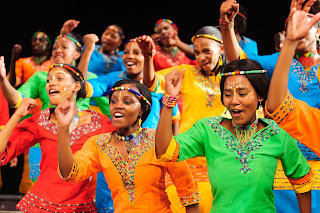 Mzansi Youth Choir from South Africa is regarded as the best performing choir in the country. Mzansi create opportunities for talented underprivileged young South Africans and they commission new South African compositions and educate their members and audiences about the many diverse South African musical genres. The National Youth Choir of Great Britain is the flagship ensemble within a structure of five choirs of 750 singers ages nine to 24. It's mission is to discover and support musical talent within the UK, provide inspirational teaching and guidance, create exceptional performing opportunities and enthuse all young people in the joy of singing. The Norwegian National Youth Choir consists of 40 young people aged 16-26 gathered from across Norway. Their repertoire is vast, spanning 500 years of choral music with particular focus on folksongs of Scandinavia. They have been selected for the festival to demonstrate the excellence and prevalence of Scandinavian singing which is the envy of the choral world. The boys choir of Riga Cathedral was first established in Latvia in 1950, and since 1994, the boys have been part of the Riga Dom Choir School. They consist of around 40 boys and 15 professional male singers. Belonging to the elite lineage of Baltic choral music, they have been chosen for the festival to demonstrate the potential of unchanged voices. 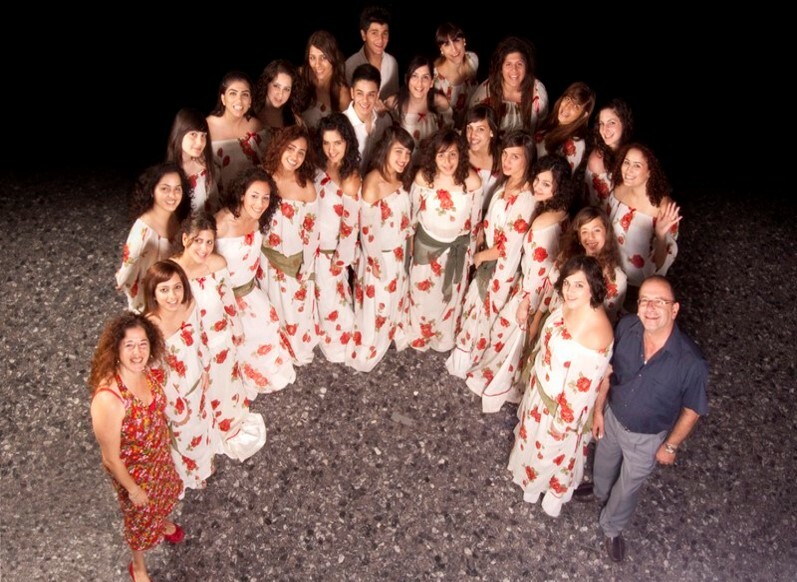 The Sawa choir is a group of young female voices based in Israel. 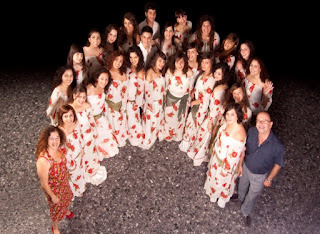 A relatively new choir, this ensemble was set up to bring together Israelis and Palestinians in a safe and respectful musical environment with no internal religious or ideological borders. Sawa choir have been selected for the festival to illustrate the power of music to cultivate open-mindedness and bridge communities in direct conflict. 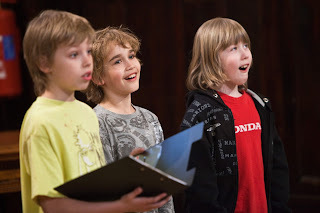 During the festival, the eight choirs will be based at two schools which will give the different groups chance to interact, and the choirs will get the chance to make music together and experience each others' brilliance! They also have the opportunity to perform on the two of the greatest stages, the Royal Albert Hall and the Royal Festival Hall, as well as taking part in extra performances and simply seeing London. During the conference at the Royal Albert Hall, the delegates will be able to attend workshops and seminars which give them skills and inspiration plus methods of either kick-starting activity in their school or local community or taking their existing activity to the next level. All delivered by leading experts from the UK and the leaders of the festival choirs. Ticket sales are going well!